This year in the jewelry fashion world, the terms “stacking”, “layering” and “stack em’ up” are appearing everywhere. Stacking your jewelry is right on trend. – It’s not necessary to always match your colors and metals, it is completely normal to mix your metals (silver, gold & bronze) or mix metal with yarn and leather. Try to build contrast with size and materials your jewels are made from. It looks great when you mix wooden or beaded with metal, and thin bracelets with thick. Allow your rings to join the party, there is no reason why you can’t wear more than one of your favorite rings at one time. You can layer your rings on a single finger or fill your fingers with all of your favorites! 1.Onyx Ring 2.silver black Ring 3.stacking silver rings 4.trinity rings 5. Stacking necklaces is also very trendy this season. Adding more than one necklace can completely reinvent your outfit. Like your bracelets, contrast is an excellent guideline when layering your necklaces. 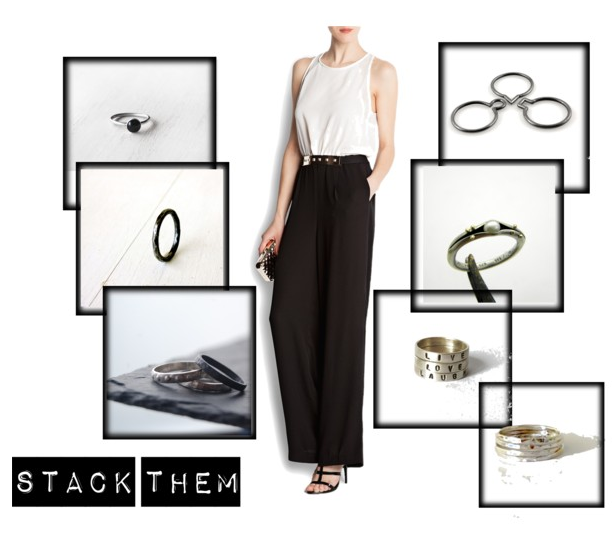 Wear a variety of metals and lengths. Just use your imagination…Mix old with new, silver with gold, thin with thick, wood with yarn and metal with leather. 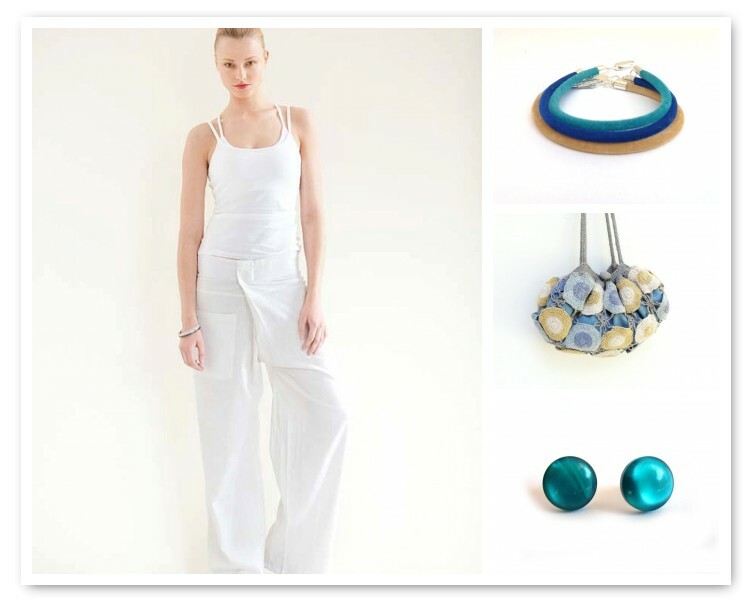 Be bold with your choices and wear your jewelry with intention! So…stack them up! And do not forget our Giveaway! Finally for more Friday night Outfit suggestions, just visit Estella’s blog! Thank you for including me my new bracelet set! Thank you so much for featuring my rings!! you have a lovely blog!!!! thanks for including my silver stacking rings! Theia thank you for the idea! I will check it! That last dress is perfect for summer! You have such a bold but minimalist taste, I love it! Actually I love also the specific outfit! Thank you Aljona!